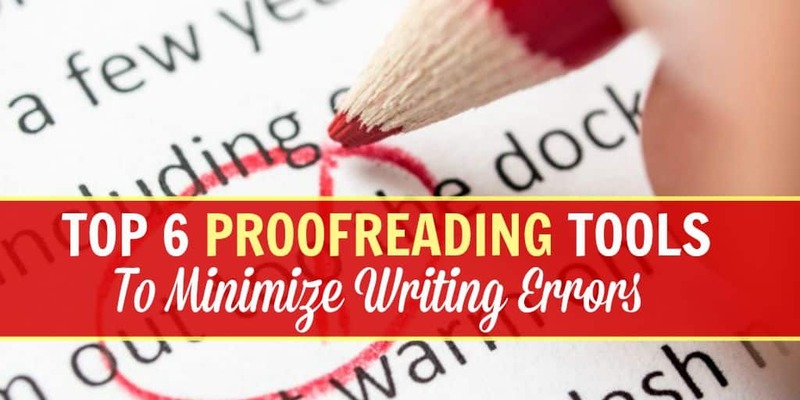 Proofreading is one of the biggest sources of income for many professionals and freelancers. It demands utmost diligence and skill on part of the proofreader, which is why most professional writers such as full-time bloggers, website content writers, SEO consultants, and so on, prefer to outsource the task to professional proofreaders. The market for professional proofreaders is huge, and so is the number of proofreaders. Nevertheless, humans are not immune to errors and proofreaders are no exception to this rule. 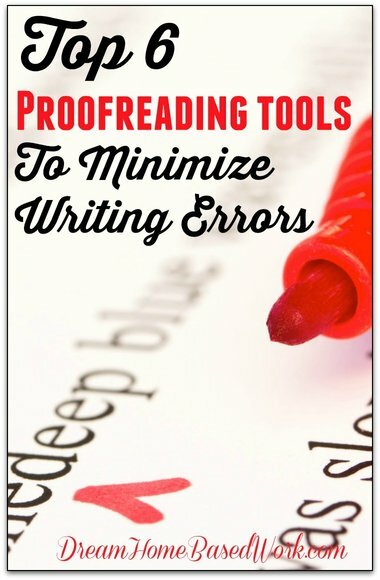 That is why I have brought here a list of extremely useful tools, which can help proofreaders eliminate errors in their content that they might miss occasionally. Grammarly is an extensive online proofreading tool. The tool analyses your content and provides a detailed report on punctuation errors, spelling errors, grammar errors, enhancement suggestions, issues with writing styles, sentence structure problems, and plagiarism. Grammarly is a paid tool and charges $29.95 a month. An annual subscription is also available that is slightly cheaper than the monthly option. For the price, it is an amazingly useful tool and detects most of the errors in the content, while making excellent writing suggestions. Ginger is a proofreading software available for installation on desktop and phone. Ginger analyzes content for grammar errors, spelling errors, punctuation errors and issues with the sentence structure. It requires account creation, which is free. This version is available for limited use per week, while the premium paid version can be used as many times as you wish. PaperRater is one of the most comprehensive proofreading tools available in the market. All you need to do is paste your content here , select a few options such as the author’s education level, the purpose of the article, among others, and then click on the ‘Get Report’ button. PaperRater analyses the content on multiple attributes such as grammar, spelling, punctuation, word choices, usage of transitional phrases, and much more. The best part of this tool is that all of it is completely free. Among the host of premium proofreading tools, WhiteSmoke is one of the highest rated ones. WhiteSmoke proofreads your content, virtually wherever you write – PPT, Word, Outlook, and so on. Not only does it check for errors in your content, but also provides tips to improve your writing skills. The plans start with $9.95 a month for monthly subscriptions and the subscriber can use the tool on any device. ‘Slick Write’ is another decent proofreading tool. It is an easy to use online service and is completely free. Using Slick Write, you can examine your content for improvements on many scales. Apart from the usual spelling and grammar errors, the tool examines the word variety, sentence structure, redundancy, structural flow, and a lot more. It gives you a detailed understanding of your current writing skills and helps you upgrade those skills. ‘After the Deadline’ tool is available for installation on many platforms such as Chrome, Firefox, WordPress, and Windows Live Writer. If you do not wish to use it with any applications, you can simply paste your content at this link (<http://www.polishmywriting.com/>) to get your content proofread. ‘After the Deadline’ checks your content for contextual spelling errors, advanced style errors and intelligent grammar errors. The three sets of errors are color-coded for easy understanding of people. Although the above mentioned tools are extremely good at what they promise, they are not error-free. In fact, no proofreading tool in the market matches the complete skill set of a seasoned proofreader. Therefore, it is always recommended to use these tools as secondary help while improving your own proofreading skills to sustain in the long run. Are there any proofreading grammar tools I missed? Feel free to share those in my comment section below.